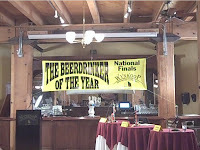 Here is a list of the upcoming Colorado beer festivals, beer dinners, tapping parties, seminars and related events that are known or planned for the month of February 2010. These listings are updated every week, so stop back often to see the latest happenings with beer in Colorado. Dates and events are subject to change. If you know of a Colorado event that you don't see here, please leave a comment and let us know. I'll be happy to add it. Cheryl will be cooking up a storm & Chris will be digging deep into his stash for a few aged special treats (Like some Alaskan Barleywine & Dogfish Head Old School from '09). Tickets are $50 if purchased by Sunday January 31st, $60 after (if available). It's Barleywine Season Here at the Falling Rock & Many will be on tap with past vintages also. Also a special Bottle list of Barleywines from the Stash will be made available (VERY limited quantities). A Tapping Party and four-year vertical tasting is scheduled for Friday, February 5th from 5-8PM to mark the release of Batch #4 and to celebrate the fruitful relationship between Avery Brewing and Russian River Brewing. Rob Rosser will be on hand serving his famous fish tacos ($4 each) and we'll be unveiling another Friday Special Tapping, so plan to spend a whole night at the Avery Tap Room! Today's featured brew is a double dry hopped Gordon. The firkin opens at 5pm. Come celebrate at Trinity Brewing and sample their first ever beer on firkin. Look to your favorite Colorado brewery and brewpub for specials on beer all day long for the big game. Stay tuned for details on specific brewers' specials. A celebration of their hoppy double IPA. The celebration starts at 5pm. Check back for more upcoming events during the peak of Mardi Gras season. Today's featured firkin beer is Pond Scum, an American Red Ale. It taps at 5pm in the tasting room. This is an AHA/BJCP sanctioned event held at the Peterson Club at Peterson Air Force Base in Colorado Springs, CO. Entries will be accepted Feb. 2-9, 2010. The purpose of the event is to showcase local home brewers by providing a competitive environment as well as the ability to share their brews with other brewers and festival attendees. Judging will take place on Feb. 13th. Entry fees are $5.00 for one, $10.00 for unlimited. Awards & festival will take place on Feb. 19th, 2010. Call (719) 574-4100 for info on tickets. More info. This annual event is located at the Bristol Brewing Company and will be open from 1:00pm to 5:00pm. This year's event will once again offer several beers direct from the cask. Beer and food are included in the admission price. Estimated cost: $25 in advance or $30 at the door. Tickets went on sale in January. Web site. Map. Bring an appetite and your wallet for this 5 course meal featuring Master's of Ceremony Adam Avery of Avery Brewing and Jonas Nemura from The Bruery in California at Boulder's newest brick-oven pizza joint. Each brewery will break out some of their best and rarest brews. 2 different beers with each course. Tickets are $105 per person (tax & tip included). Restaurant at 33rd and Arapahoe in Boulder. More info: www.pizzeriabasta.com - Call 303-997-8775 for reservations. 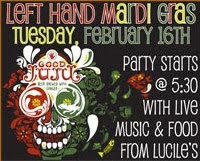 A fabulous 4-course meal is being prepared along with some special Oskar Blues brews to pair with it on February 26th. Course 1: Weasel Bunker Trainwreck Red Chili with Michelle's Marzan, Course 2: Twice baked "Tato" skins loaded with Dales Pale Ale, Course 3: Chub dipped Shortribs, fried waffles, BBQ and Maytag Blu paired with Old Chub, and Course 4: Pint glass of pie paired with American Hoppy Belgian. Details at their web site. Party Time! FCB thought they were going to have a party to celebrate Johnny Cash's birthday but then they found out that Michael Bolton was also born on February 26th and Michael Bolton outranks the Man in Black. In his honor, FCB is pouring all you can drink pints for $6. On tap will be Wassail, Big Shot, Rye, Harvestival, Stein Lager and Barrel Aged Brown Bevvie. Designated drivers will be treated to all the free root beer they can handle and 10% off retail purchases. Party runs from 4-8pm. 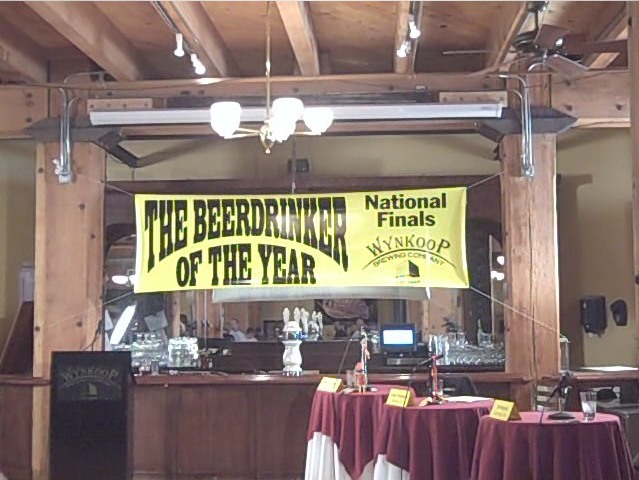 Be on hand for the final round of competition in the 2010 Beerdrinker of the Year National Finals at the Wynkoop Brewing Co. The best beer drinkers from all over the USA will be trying to convince a lively panel of judges that they know it all when it comes to beer. The winner gets free beer for life at the Wynkoop and $250 in beer from their local brewpub or bar. Can anyone top the performance of last year's winner Cody Christman? Open to the public. Fun starts at 2pm. See web site for details.